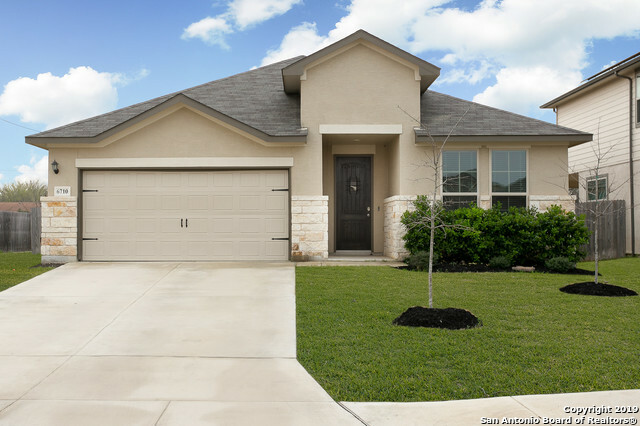 All STEUBING FARM-JV BACON PK homes currently listed for sale in San Antonio as of 04/22/2019 are shown below. You can change the search criteria at any time by pressing the 'Change Search' button below. "Fantastic gently lived in one-story with lots of natural light. Modern paint & touches with high ceilings, & oversized tile. Open island kitchen with stainless steel appliances, gas cooking, and espresso cabinets! Huge master bedroom with bay windows and crown molding. Spacious master bath, double vanities, garden tub, separate glass shower and large master closet! Covered back patio on a cul-de-sac lot. Great Northside ISD schools, minutes away from shopping and restaurants! See today before it"